Mennopolitan: Why is it Low German? Why is it Low German? I so often get asked: "Why is it Low German?" 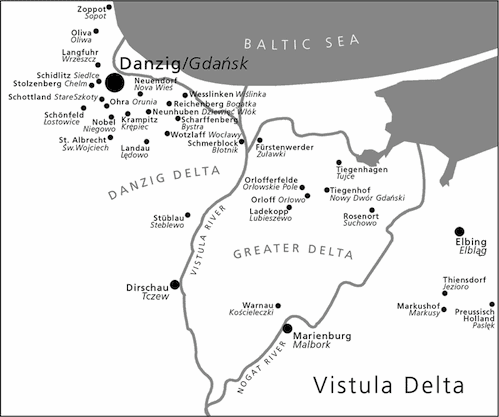 Plautdietsch speakers today are mostly the descendants of Mennonites who fled from what is today the Netherlands and Belgium in the 16th century to escape persecution and resettled in the Vistula delta. They took with them their Dutch, Frisian and Dutch Low Saxon dialect, which over time they mixed with East Low German dialects, the so-called Weichselplatt, of the region. As Mennonites they kept their own (primarily Dutch and Low-German) identity, using Standard Dutch well into the 18th century. At the time of their migration to the Russian Empire, their spoken language resembled the dialects of the region with only some few Dutch elements. Their East Low German dialect is still classified as Low Prussian, or simply Prussian. Russian Mennonites trace their genealogical roots mostly to the Low Countries and north Germany, and to a lesser degree to southern Germany and Switzerland. Beginning in the late 18th century, the expanding Russian Empire invited Germans and many from the Kingdom of Prussia, including many Mennonites, to create new colonies north of the Black Sea in an area that Russia had recently acquired in one of the Russo-Turkish Wars. This is now part of present-day Ukraine as well as other countries. Beginning in 1873, many Plautdietsch-speaking Mennonites migrated from Russia to the United States and Canada. In 1922 Plautdietsch-speaking Mennonites from Canada started to settle in Mexico, and in 1927 in Paraguay. In the 1930s Mennonites emigrated from Russia directly to Brazil. The first Mennonite settlement in Bolivia was founded in 1957 by Plautdietsch-speaking Mennonite from Paraguay. Soon very conservative Plautdietsch-speaking Mennonites from Canada, Mexico, and Belize also relocated to Bolivia, settling together. In 1986/7 a settlement was founded in Argentina by Plautdietsch-speaking Mennonites from other Latin American countries. There are two principal divisions of the German language: High German, or Hochdeutsch, and Low German, or Plattdeutsch. One of the most striking differences between them is the result of a consonant shift (usually referred to as the second, or High German, sound shift) that took place before the 8th cent. A.D. in certain West Germanic dialects. In a broader and purely linguistic sense, the term Low German can also be extended to cover all the West Germanic languages in which the second sound shift did not take place, such as Dutch, Frisian, and English. English: I (will) make (something) to eat and then go to sleep. High German: Ich mache essen und gehe dann schlafen. Low German: Ik maak eten un gah denn slapen.